When you first grow a garden there are many lessons that you learn. We already had to deal with a caterpillar and stink bug infestations and garden placement. I wouldn't have thought we'd have so many questions about when to harvest our plants. We had some eggplant that we harvested earlier and it was delicious. Hubby made eggplant Parmesan with it and it was the best that we have ever made. So we were really excited for more eggplant. At some point we had two of them that turned an orange color. We weren't sure what that meant. We kept wondering if it would turn back purple or what was going on. Well apparently eggplant turns orange once it is overripe and unfortunately tastes bitter. may receive a commission, but the price to your remains unchanged. 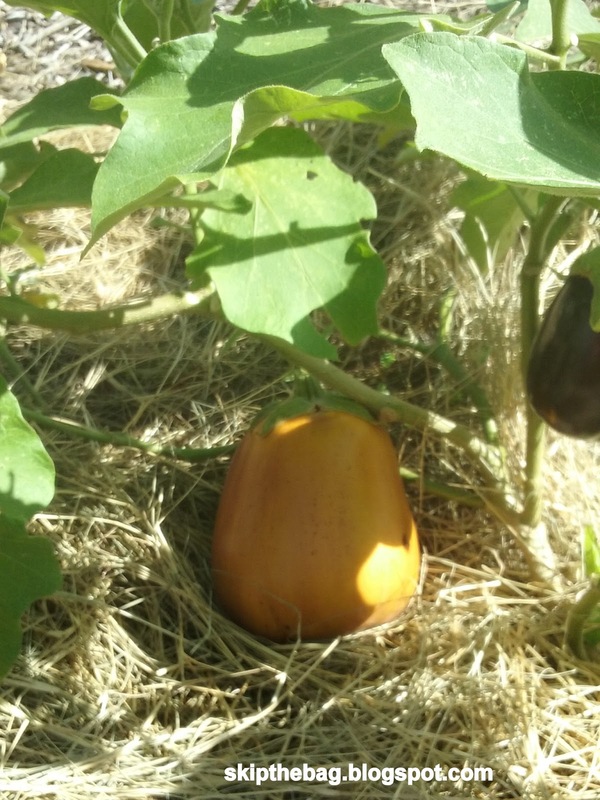 We learned that you cannot pick eggplant too early. When it is a good size and the skin is still shiny purple it is good to eat. If it starts getting dull, pick it quick. If it turns orange, you might as well pull it and start over. Even though we lost those two, we thankfully had 3 others which we were able to pick and eat! 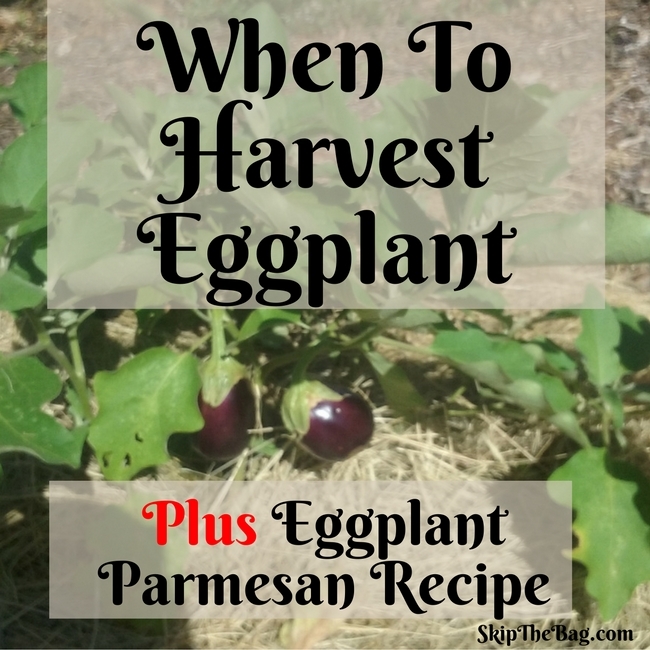 Here is the recipe that Hubby uses to make his Eggplant Parmesan. Mix the bread crumbs, salt and Parmesan together. Serve with pasta and marinara sauce. Looking for another way to use eggplant? 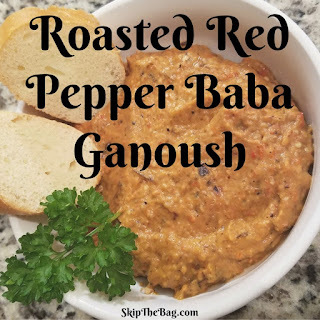 Try roasted red pepper baba ganoush! It is a delicious dip, which can be used similarly to hummus. 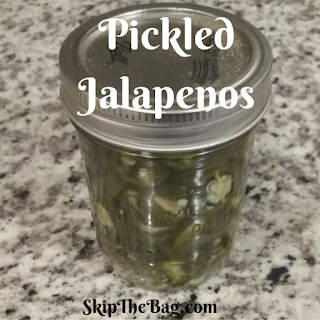 Or would you rather kick things up a bit and try some pickled jalapenos? Yum, I ama huge eggplant lover. We have lots of them in the summer and they are so tasty. I love making this recipe. It fools the kids into eating eggplant. I also make an eggplant dip, I don't know if you have ever heard of that. Is the eggplant dip baba ganoush? I've heard of that, but if it's something new I'm all ears! I'm not familiar with moussaka. Ours aren't quite ready yet this year, but when they are I'll have to try it out. Thanks for the suggestion.